Play Nintendo is an official subsite where you can go to download fun art activities and participate in silly polls. Not long ago, it was offering instructions and a printable design to create a Peachette paper craft super crown. 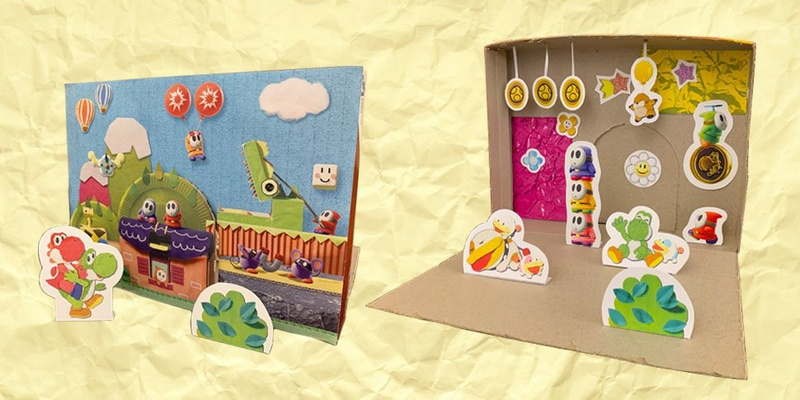 Now, to promote Yoshi's Crafted World, Nintendo has uploaded a free printable diorama. If you want to assemble these scenes from the game, you'll need paper, tape or glue, cardboard, scissors and a printer with colour ink. Click here to visit the Play Nintendo website where you can download the required cutouts and instructions for this diorama. 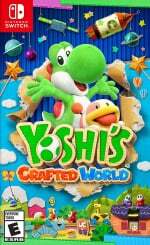 Have you played Yoshi's Crafted World on the Switch? Will you be creating your own diorama? Tell us below. Yush! The paper cutouts look very homemade, it feels pretty wholesome. What a time to be a child. Sure you're not going to have a hospitable planet to be an adult in, but you have easy access to cool stuff like this. Get in, my 5 year old is obsessed with creating crafty things out of cardboard boxes ( mostly absolute monstrosities). He will love this. I love all the little details in Yoshi's Crafted World! Whoever thought to use empty coffee creamer containers to craft set-pieces deserves major kudos - it really shows the creativity of the art team! I bet that my daughter will have more fun with this, than she would with any of the Labo kits, the VR kit being the one and only exception. Kids don't seem to mind low resolutions and huge pixels as much, if at all. This is pretty cute. Might print this out sometime.